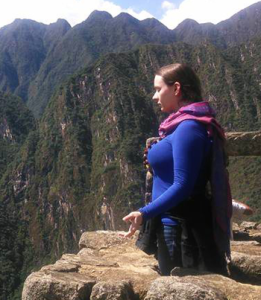 Rebekah Gamble just returned from a trip to sacred sites in Central America. As we started to talk about her sharing the trip and what was learned it became clear that one show would not give us nearly enough time. Join us this week for the overview of the trip and adventures. The what, when, where of it. In a few weeks she will return to discuss the inner journey and the lessons learned. The who, why and how of it. Rebekah Gamble is an holistic practitioner, teacher, speaker, published author and writer who is trained in more than 50 different healing, medical and holistic modalities. She has been teaching academically since 2004, and spiritually since 1997 when she wrote and presented her first talk for her church at the age of seven and entered ministerial school. Rebekah was first recognized for what she later recognized as performing energy healing when she was five years old. She was a teacher and activist before going into holistic health when her own health collapsed. She is the founder and developer of the Talking Stick Diaries, The Talking Stick Therapies, Unified Energy Therapy, and Embody Healing, LLC. Rebekah is also a member of the Knight’s Templar and is one of only four people in North America who are qualified to teach the Knight’s Templar healing modality.